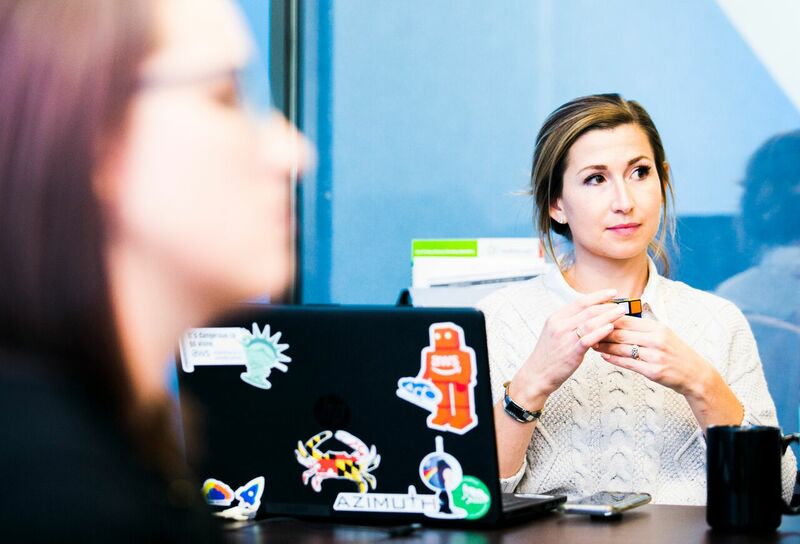 Only 5% of tech companies in the United States are owned by women, and we’re one of them. This makes us even more dedicated in our work to build sophisticated, scalable and agile application in the cloud. We look forward to speaking with you! 2016 iCARE Award Winner for Integrity: Veteran Affairs, Office of Small and Disadvantaged Business Utilization, Information Technology Division. Capitol Presence is a Woman Owned Small Business (EDWOSB) based in Tysons Corner, VA. We are an Agile Development and Solutions agency that specializes in customer driven business solutions, born in the cloud. We pride ourselves on delivering top of the line customized products and solutions that streamline processes, making businesses smarter, automated and more efficient – saving you time and money. We were founded by former Federal employees who worked in Health and Human Services within the Operations, QMS and Technical divisions. This means we know how the Government works and the areas that it needs the most assistance with. Small Business, Doesn’t Have to Mean Small Solutions. Our background doesn’t end in the Federal Government. We have supported nonprofit organizations and education for over 15 years; including development support in and around Fairfax County Public Schools. Our support of SMBs and nonprofits are at the core of our mission and expertise. Industry Leaders Setting an Industry Standard. We are certified partners with Microsoft, AWS (Amazon Web Services), VMware, and HPE. With our expertise, we have built custom designed solutions to meet your business needs through development of dynamic solutions on an ad hoc and “pay as you go” service structure. Whether you’re a start up on a shoe string budget or a fortune 500 company, we’ve got you covered with an innovative and cutting-edge cloud solution.